The role of the skin is to maintain a barrier that protects us from exposure to mechanical (scratch), chemical (soaps) and biological injuries (UV/sunlight exposure). 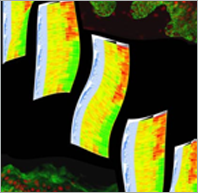 As the first line of defense, the skin also mobilizes other cells via pro-inflammatory signals. Given the need for a quick and frequent pro-inflammatory response in the epidermis, there must be a system to regulate the process precisely. Recently we discovered that the epidermis synthesizes cortisol (an active form of glucocorticoids) in response to pro-inflammatory signals released upon injury to the barrier. The goal of our proposed research is to understand the mechanisms by which glucocorticoids are synthesized in the epidermis, react to acute inflammation and are regulated in various dermatologic disorders. Why is supporting this research worthwhile? Use of steroids has significant side effects that may exacerbate co-existing illnesses. Understanding the mechanisms by which the skin response to inflammation triggers corticosteroid synthesis may lead to new and improved treatments for acute and chronic inflammatory skin disorders. Understanding the inflammatory response to skin injury may change the paradigm for treating patients with chronic non-healing wounds and infections. 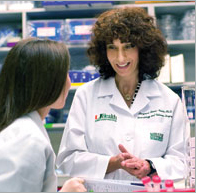 Marjana Tomic-Canic, PhD is a Professor of Dermatology and the Director of the Wound Healing and Regenerative Medicine Research Program at the Department of Dermatology and Cutaneous Surgery, University of Miami Miller School of Medicine. 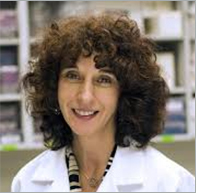 Dr Tomic-Canic received her PhD in Molecular Biology and Physiology from joint program of NYU School of Medicine, Department of Dermatology and Belgrade University, Department of Biomedicine. She completed her post-doctoral training at the Department of Pharmacology at NYU School of Medicine and joined the faculty of Departments of Dermatology and Microbiology at NYU School of Medicine in 1994. Dr. Stojadinovic received her M.D. degree from the University of Belgrade School of Medicine, Serbia, Yugoslavia in 1998. She joined Dr Tomic- Canic laboratory at the New York University, as Postdoctoral Fellow in 2002. She continued her postdoctoral fellowship at the Hospital for Special Surgery, Tissue Engineering, Repair and Regeneration Program, New York, where she was promoted to the Instructor scientist. In 2009 she joined Department of Dermatology and Cutaneous Surgery at UM Miller School of Medicine as Research Assistant Professor. Over past 21 years, Dr Tomic-Canic’s primary research interest is in skin biology. Drs Tomic-Canic and Stojadinovic have been working together for the last decade. Their current research is focused on identification of molecular pathogenesis of chronic wounds, i.e. understanding wound healing and its inhibition at the molecular, genomic and cellular levels. Their recent discoveries include identification of cortisol synthesis in epidermis focusing their research interests on molecular mechanisms that control inflammatory response in skin biology and its diseases, as well as understanding how control of cortisol and lipid metabolism may modulate skin inflammation and response to injury, in various skin disorders and hair biology.